Local night is Thursday. Celebrity hosted events, World-famous DJ's on monthly basis. In 2009, the Aria Resort and Casino took Sin City by storm with its brilliant features and sleek architectural design. 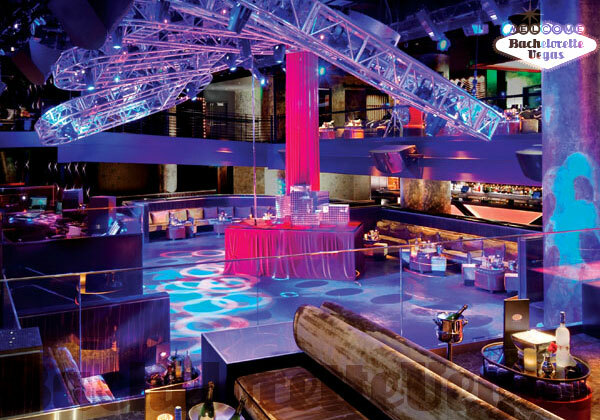 The interior of this extravagant structure is where the real beauty shines, especially in its popular nightclub, Haze. You may initially attribute a hazy night with something gloomy, but the moniker more points to the concept of a night that may be hard to remember. If there's one thing that Haze knows how to do, it's throw a party; and in this opulent space, you're sure to enjoy yourself to the point of falling into a drunken haze. If there's one thing that's evident about Haze when you first walk through the doors, it's that this club caters to the younger crowd. Despite the extreme extravagance of the property that houses it, Haze comes off like a massive Frat / Sorority party, making it the perfect location to celebrate your bachelorette party night on the town. To guarantee yourself entry into this popular establishment, you'll want to have a professional by your side; someone such as the crew at Bachelorette Vegas. With this VIP expert backing your event, you'll have no problem making it through the door. If bypassing the long line at the door (and you can expect there to always be a line at Haze) isn't enough, then the service's ability to procure you a VIP booth or table for the night may tickle your fancy. From your viewpoint at your private VIP table at the base of the massive DJ booth, you will get a first rate view of the dance floor. With a crowd as energetic as the one in Haze, people watching has never been so much fun. You won't want to waste the night away sitting at your booth, though, so make sure to get up and join the fun on the dance floor with the rest of the crowd. As you explore Haze, you'll find yourself drinking in every fine detail; but what will really pull your attention is the crowd that gathers around the club's three bars. Though there is a dedicated dance floor, plenty of people hover around the bars to keep in range of the refreshing assortment of alcoholic cocktails and beverages. With your VIP status, you'll be granted at least one round of drinks; and it's almost a guarantee that you'll be back for more. If you're into a nightclub with some showmanship, you'll take appreciation in the separate room that occasionally houses a duo of women that aim to entertain. Every once in a while, you'll want to look to the ceiling as the sporadic aerial dancer will headline the club's entertainment for a short while. Haze and Aria may be tucked away a little bit within Las Vegas' CityCenter, but that doesn't mean it's some rinky-dink establishment that doesn't know how to party. 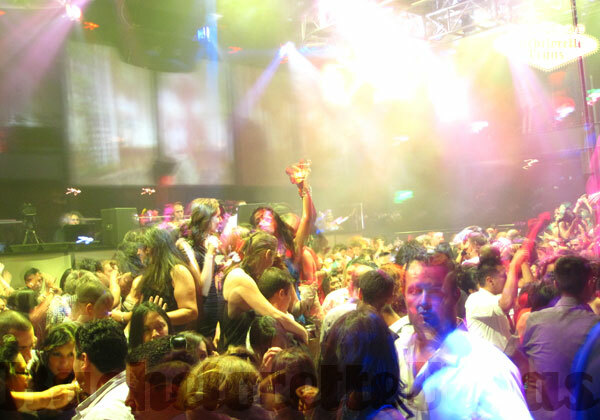 Quite the contrary, Haze is one of the hottest nightclubs on the Strip. If you're looking for an exciting place to hold your bachelorette party, Haze is your place and Bachelorette Vegas is your ticket there. For reservation or VIP linepass to HAZE Las Vegas, please contact us..